so today wasn't a good day for me, i was so exited to install the new wheels i got yesterday, i followed the instructions (wheels off set and tire size) from other members who installed the 17" performa 25 wheels before. 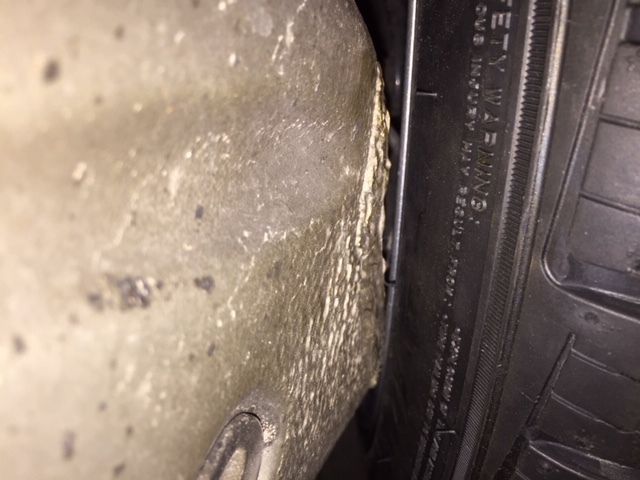 I installed the rear tires and did a test , the car didn't move at all, it seems spacers needed, can you please see if the studs are long or not (from the black dust brake mark on the studs), and what is the recomended spacers that i need to buy, it seems the wheels are rubbing in the fender well. or the studs are long. 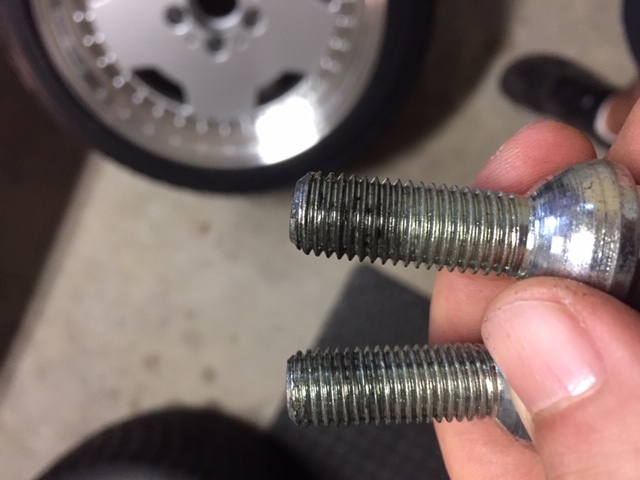 From your pictures I am getting the impression that the threaded portion of your lug bolts sticks out too much. 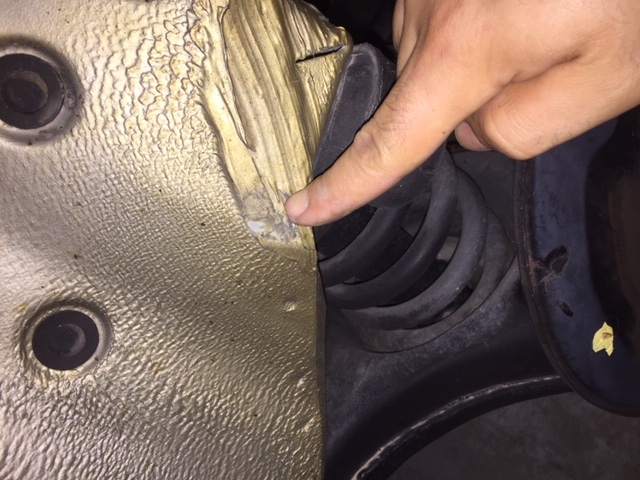 KRH advised in an earlier post somewhere how much is allowed on the back before you'd hit the parking brake hardware when installing the wheels. IIRC about 5-6 threads max sticking out. I hope KRH will advise here. 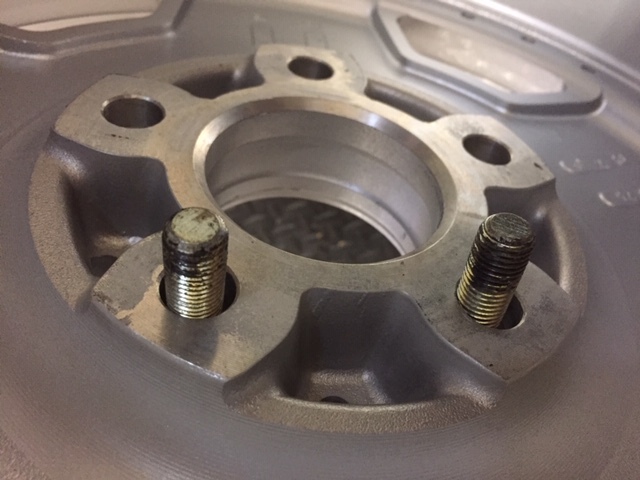 For the front wheels the lug bolts should be fine, is only on the back that the length is so critical. 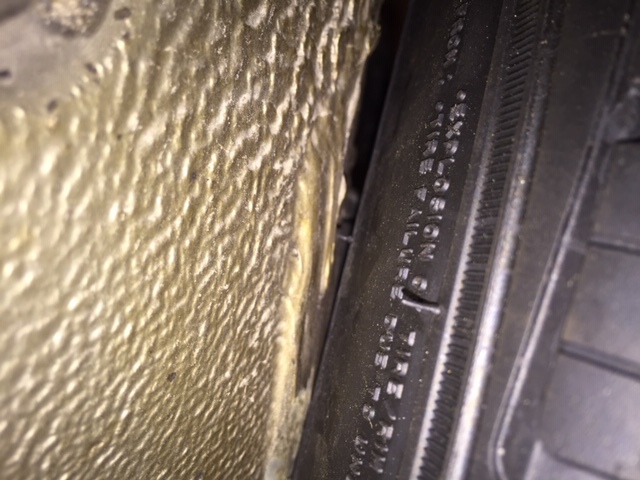 Yes, picture number 4 showing scratches on the fender well. You could try a few whacks with a big hammer. The point that interferes with the wheels seems to be protruding a bit from the rest of the inner fender. 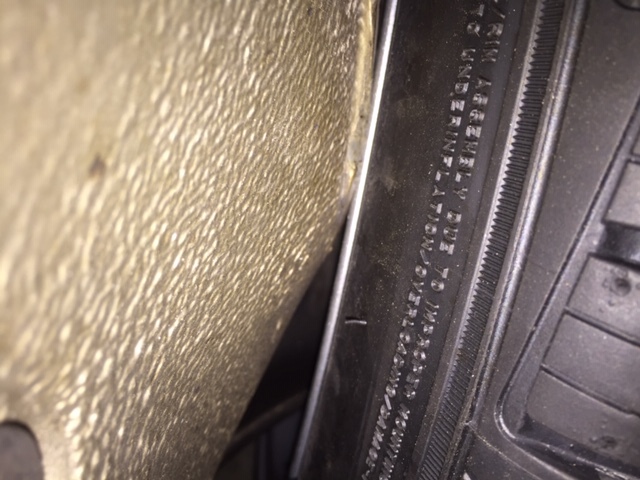 Tolerances are tight on our cars. 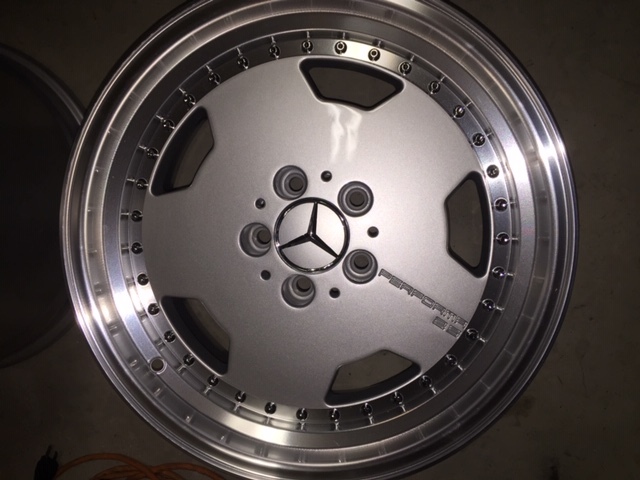 AMG put the absolute max width wheel with the 17x10, ET 17 at the rear. However, depending on your springs and variations in geometry, you could still get rubbing. 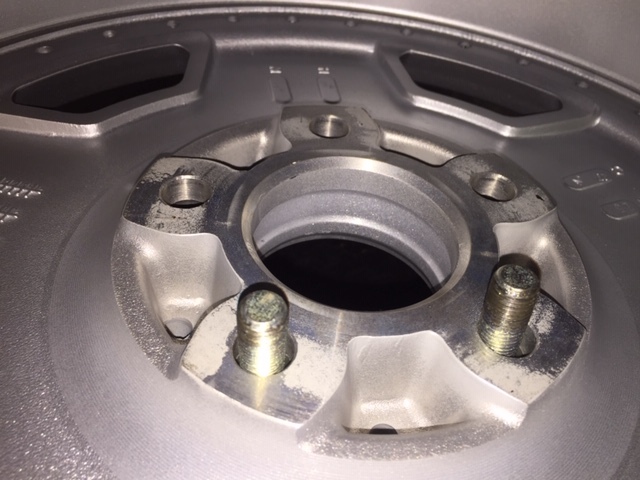 I've had a go with a hammer in my rear wheel wells to eliminate occasional rubbing. The back spacing area is so tight, the back of the wheels are rubbing the fender well (not from the fender side) ,i think spacers will push the rims forward the fender a little bit for clearance, so i don't know how thick the spacers should be. The back spacing area is so tight, the back of the wheels are rubbing the fender well (bot from the fender side) i thing spacers will push them forward the fender a little bit for clearance, so i don't know how thick the spacers should be. From the looks of it, 5 mm spacers should suffice. Brings the offset down to 20.